The manner of Bee Purchase can make a great difference between a high-performing hive and a hive that fails to take off. While it may seem like all bees are the same, there are distinct variances in the types of bees you can buy that will make all the difference in your hive. Read this guide to learn about the subtle difference between the types of bees you can purchase and learn more about your next Bee Purchase. First-time beekeepers may be surprised to hear that there is more than one type of bee that you can buy for your hive. In fact, there are over 20,000 species of bees that have been identified around the world. Each species has a variety of different traits that can affect the success or failure of your colony. Be sure to do extensive research on each species before buying bees. Italian – The most popular species for beginners looking to buy honey bees, this species is known for their gentle demeanor and high-quality honey products. Russian – These bees are resistant to mites and cold climates, making them ideal for a wintery climate. Cordovan – A subspecies of the Italian species, these bees are gentler than their Italian cousins and are often found in the wild. Caucasian – Caucasian bees are well known for their high production of propolis, which can make it difficult to harvest honey. However, they are likely to survive over winter. Carniolan – Along with their gentle demeanor, these bees are the best suited for cold climates than any other species. Buckfast – This species is resistant to mites, and thrive in cool, wet climates and can produce honey year-round. Africanized – A highly aggressive species, these bees are best left to a professional beekeeper looking to produce large amounts of honey. Packaged bees typically come in boxes with 2 to 5 pounds of bees inside, including a young Queen. These packages are low cost, ship quickly and can be installed into an assembled hive. They are also typically available earlier than nucleus colonies and can be installed as soon as the cold season has passed. Packaged bees require more work from the beekeeper, as it will take the bees more time to build up the hive before they can produce honey. In rare cases, a colony may reject the hive and disperse in search of a new location to start the hive over. Nucleus colonies, or Nucs for short, are a small colony of bees that have just started to establish their hive. Nucs will have the basis of hive activity already set up so they can be easily installed into a new, larger beehive. This includes the production of honey, pollen, and bee larvae in various stages of development. While Nucs cost more than packaged bees, they’re easier to establish and are likely to produce honey much more quickly. However, beekeepers will have to wait until mid to late spring if they want to purchase a Nuc as the bees need time to start the colony. It is possible to gather a bee swarm from the wild to install into your hive for little to no cost. However, this process can be extremely dangerous, and should only be performed by a beekeeping professional with the proper gear. If you find a swarm in the wild that you think would be a good fit for your hive, start by spraying the hive with sugar water so the bees will stick together. Then, gently knock the hive into a box and allow the colony time to gather inside. 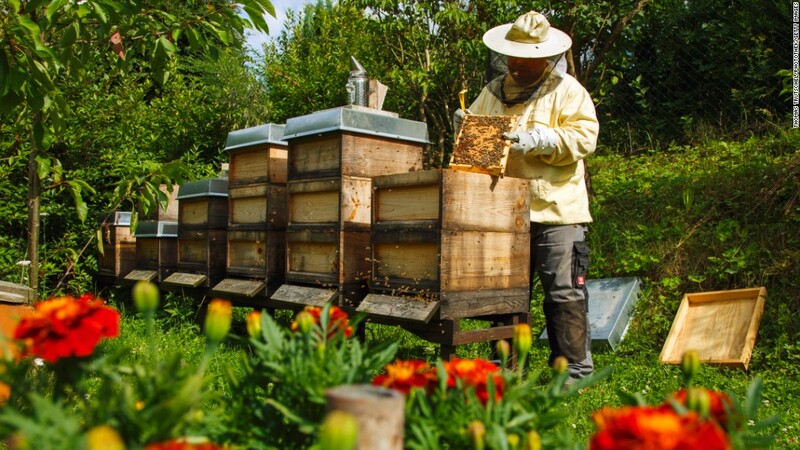 Allow the bees to re-establish their production before installing them into their new hive. There are hundreds of places across the United States where you can buy honey bees to start or grow your hive. You can start by looking into your local beekeeping community to see if there is anyone that sells bees in your immediate area. If you are unable to find any local beekeepers willing to sell, there are plenty of companies that allow you to buy bees online. When looking at online bee merchants, be sure to do extensive research so you know you are buying from a respected seller. If you are unsure about the reputation of a company, check for online reviews or ask other beekeepers for their experiences. It’s recommended that you look for an online retailer close to your location in order to reduce shipping time. 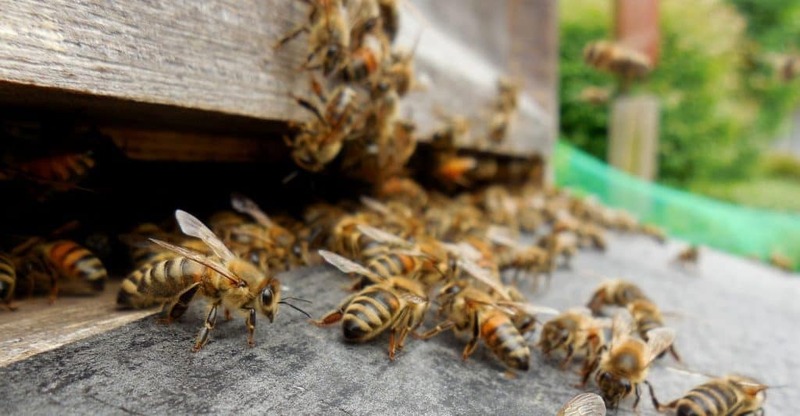 Experts also suggest buying bees early in the, as packages can easily run out during peak bee production season in early to mid-spring.